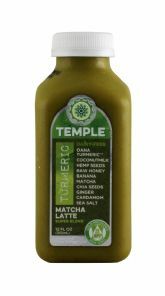 The Matcha Latte variety of Temple Turmeric, a product that launched prior to the brand's revamp from Tumeric Alive, has been given a slight refresh to its formulation. 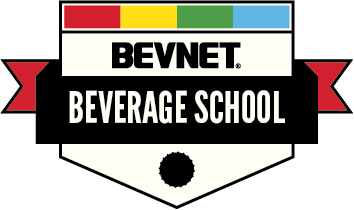 Most notably, the product now has 160 calories per bottle, down from 280 calories. 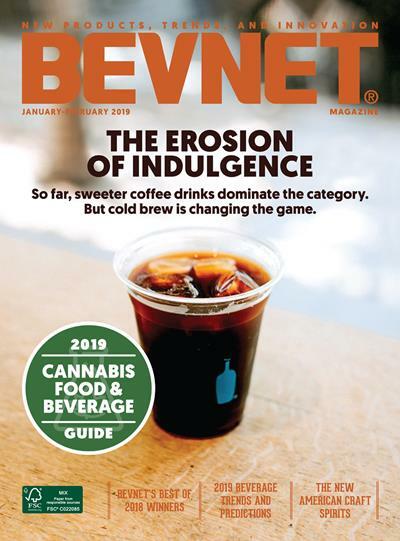 The company has done this by thinning the formulation of the beverage, which is also a nice change of pace for the product. From what we recall, this one has more coconut flavor than it did last time (there’s also hemp milk in it, but we don’t really taste it). 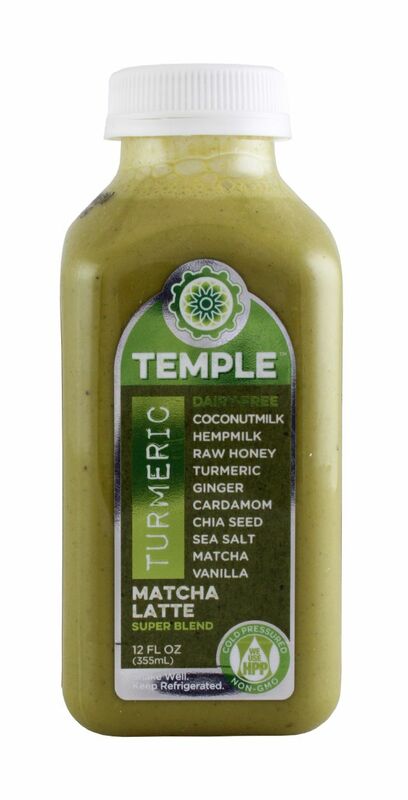 The matcha and the added raw honey, banana, matcha, ginger, cardamom, and salt provide the rest of the flavor. 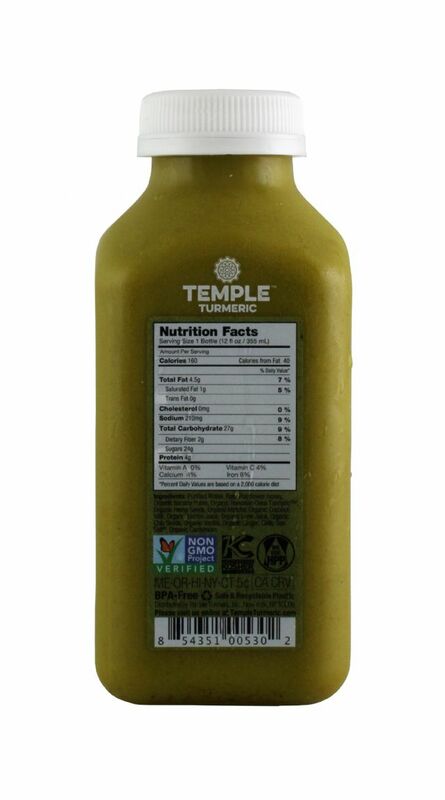 This isn’t overly heavy on the the matcha flavor, but there’s enough to let you know that it’s there. 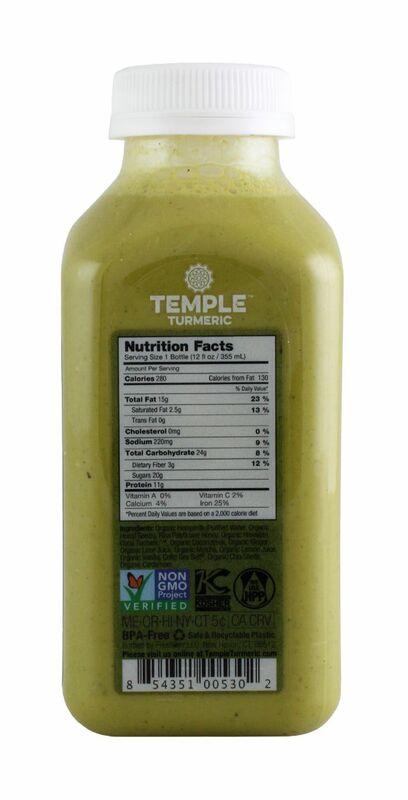 Furthermore, we’d describe this product as being a somewhat light-bodied smoothie in terms of how it tastes. And it’s certainly not a meal replacement as we suggested with the original formulation. 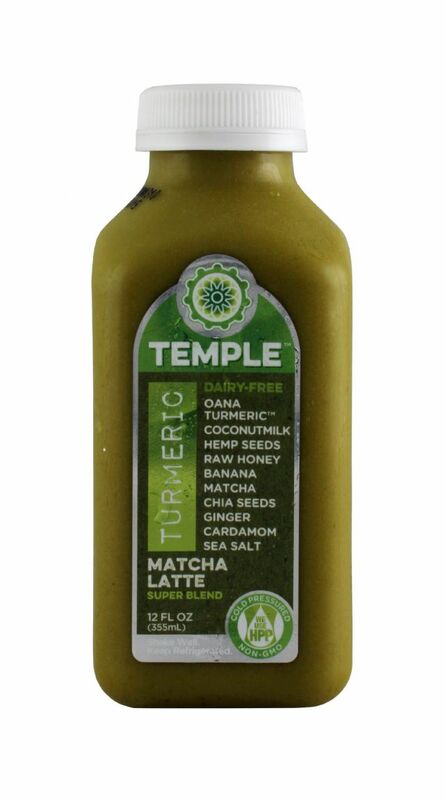 What’s ultimately really great about this product is that Temple has loaded the product with good stuff (and let's not forget about the added turmeric and ground chia seeds) while managing to make an incredible tasting product. On the outside, the product’s appearance hasn’t really changed much, outside of the switch from Tumeric Alive to Temple Turmeric. It’s clean, simple, and straightforward. Overall, we like the updated version even more than the original.